A classic card punch technique hidden in plain sight. "Punching" cards is one of the most powerful weapons in the cheater's arsenal. Magicians who do "punch work" are able to do miracles on an entirely new level. So, what is "punching" cards about? And what makes "Sentio" unique? "Punching" cards is a system in which the magician or cheat can put very small, light pin pricks in cards so that he can actually feel for spades, or aces, or selected cards. It allows you to perform in a way that is entirely casual, even looking away from the deck, and yet still be able to feel for the key card or the start of a stack. Most punch work takes place before a show, when you can set the four aces or any cards you wish to "punch" with the proper markings. What makes "Sentio" extraordinary is that the punching device has been built into a Sharpie pen. 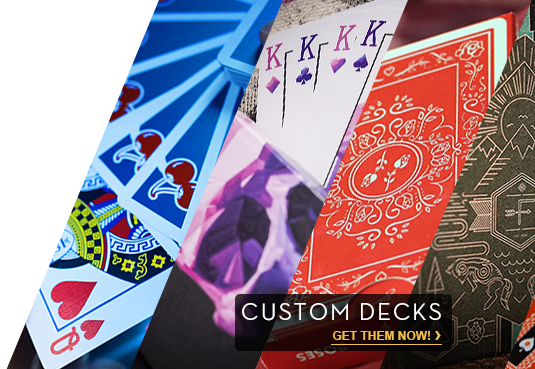 This allows you to put the "work" into the deck DURING your PERFORMANCE! Imagine having a card signed by a spectator, then immediately allowing them to shuffle their signed card back into the deck. When you take back the deck, you have immediate control over the selected card. Whether your interest is in cheating material or performing impossible card magic, "Sentio" delivers a James Bond-like device that is easy to use and limitless in its applications.